Xian hotel to Xian Railway Station transfer by our Xian tour guide and driver & Shanghai South Railway Station to Shanghai hotel transfer by our Shanghai tour guide. Visit one of the tallest TV towers in the world-Oriental Pearl TV Tower; come to the Bund to see the “architecture gallery” with different style foreign buildings of past, as well as its new vitality with chic restaurants, top end shops and bars; move on to Nanjing Road, which is the busiest shopping street in Shanghai. From south bund take a Huangpu River Cruise. Today’s activities include the classic South China garden-Yuyuan Garden, the popular Jade Buddha Temple, and Shanghai Museum, which is thought by many as the best museum in China. After the tour, you will be transferred to Shanghai airport for departure. *Soft Sleeper train tickets: Xian-Shanghai. Hotel to airport transfer in Xian & Airport to hotel transfer in Shanghai. Visit Shanghai Museum which is thought as the best museum in China with stunning collections. Head to the beautiful Yuyuan Garden in the center of Shanghai old quarters and the popular worshipped Jade Buddha Temple. 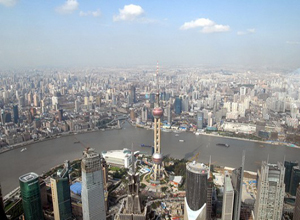 Then ascend the tall Oriental Pearl TV Tower for a panorama of the city. Pick up from hotel and transfer to the train station where you take bullet train to Suzhou. Upon arrival be met by our Suzhou local guide. Suzhou is famous for delicate South China classic gardens and we will visit two representatives-Humble Administrators Garden and Lion Grove. 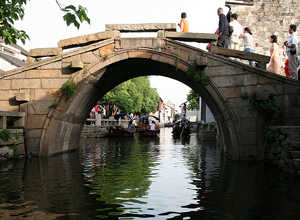 More, we will take a cruise on the Grand Canal which is the longest man-made waterway in the world, and then travel through the old streets & Hutongs in Suzhou by rickshaw ride to see local people’s life. Hotel pickup and travel to Hangzhou by train. Hangzhou is heavenly beautiful. In the city we will visit its most famous attraction-the West Lake. Besides, we see Lingyin Temple, one of the most important and wealthist Buddhist temples in China, and the Meijiawu Tea Planation among lush green hills, where visitors can have a tea culture experience by seeing tea picking and processing. Hotel to airport transfer in Hangzhou & airport to hotel transfer in Xian. 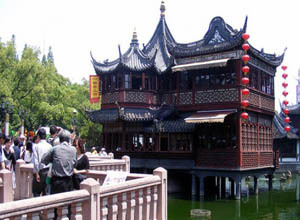 *Hotel charegs in Shanghai, Suzhou, Hangzhou. *China internal flight: Xian-Shanghai; Hangzhou-Xian.